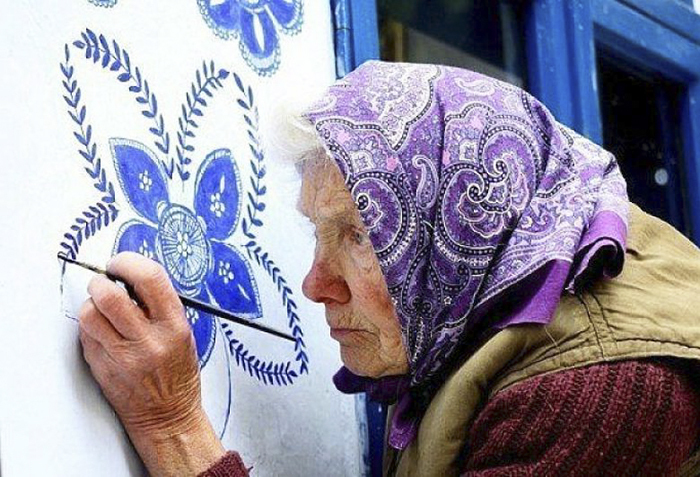 No matter your age, you are never too young or old to add beauty to this world. 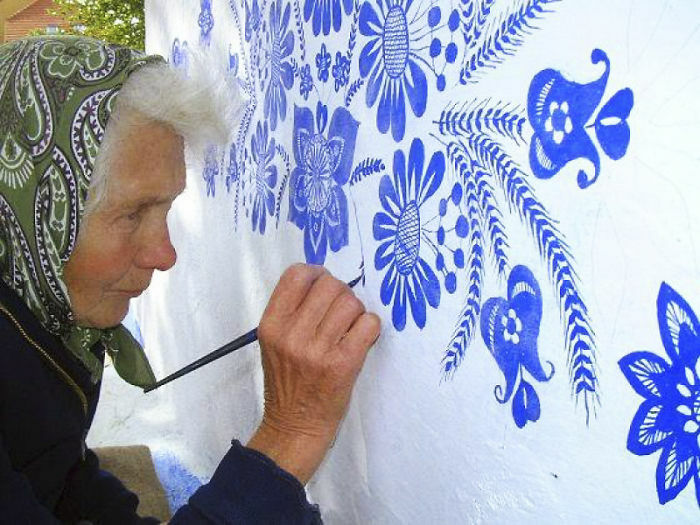 An individual who has proven this to be true is 90-year-old Agnes Kasparkova. 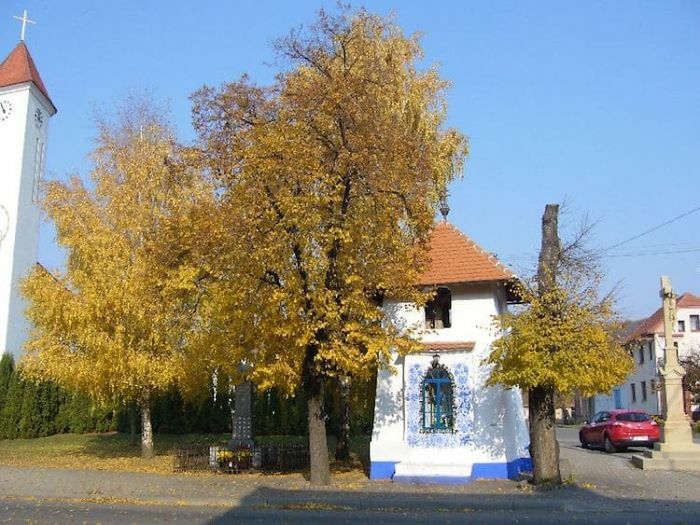 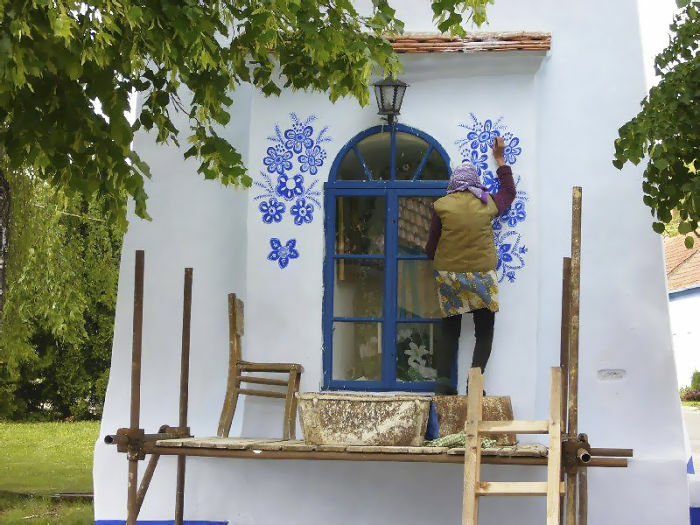 The former agricultural worker has picked up a new hobby in her later years and is developing the skill by beautifying houses in the small Czech village of Louka, in southern Moravia. 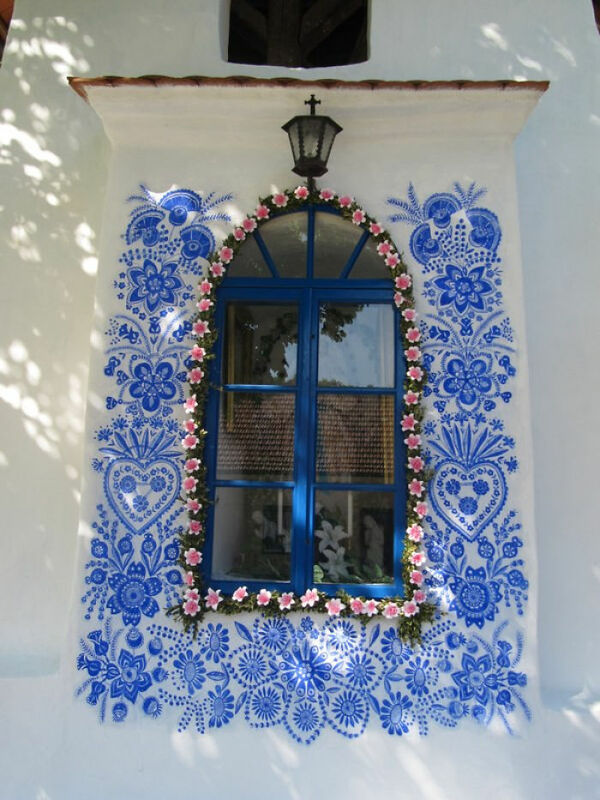 MyModernMet reports that in her spare time, Kasparkova paints traditional Moravian motifs in bright blue-ultramarine on the exterior of buildings. 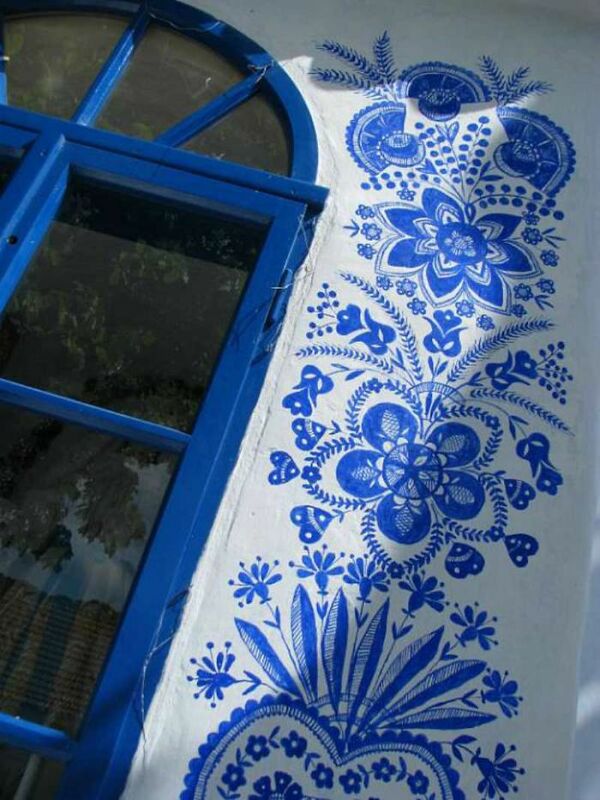 Only her favorite architectural structures get decorated. 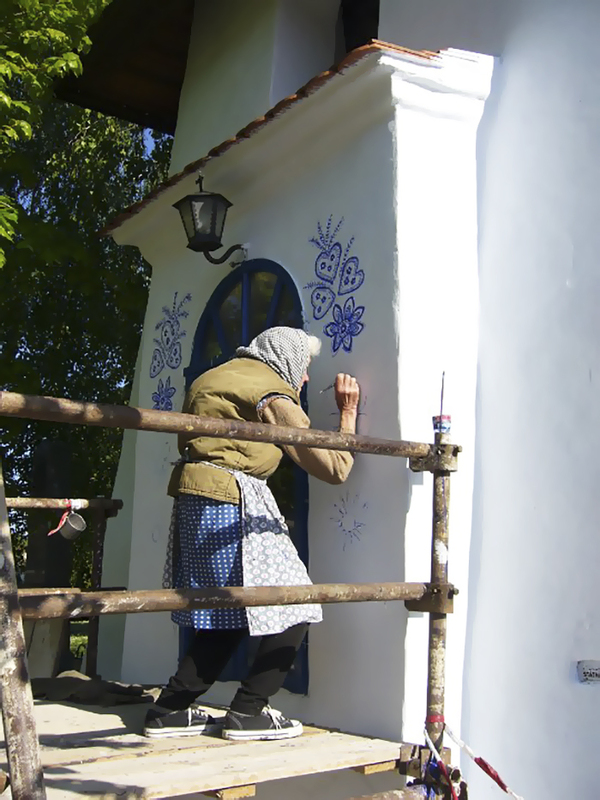 Reportedly, her favorite space to paint is the village chapel, which she occasionally touches up. 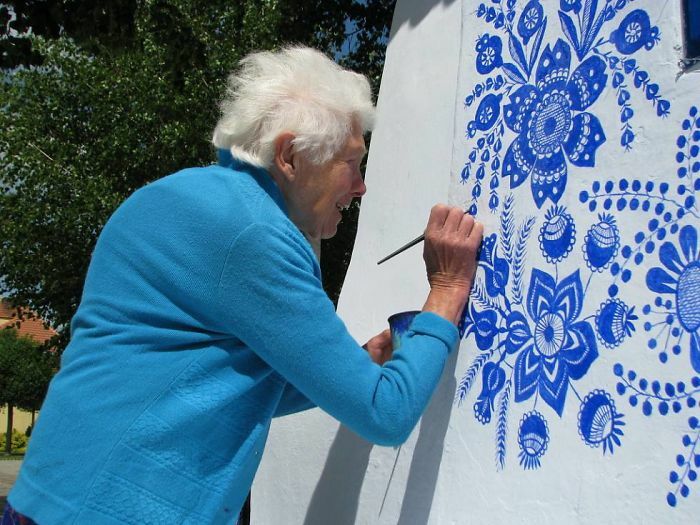 Even though she is nearly a centenarian, she is spry enough to climb up the scaffolding and paint a flowery motif on its walls. 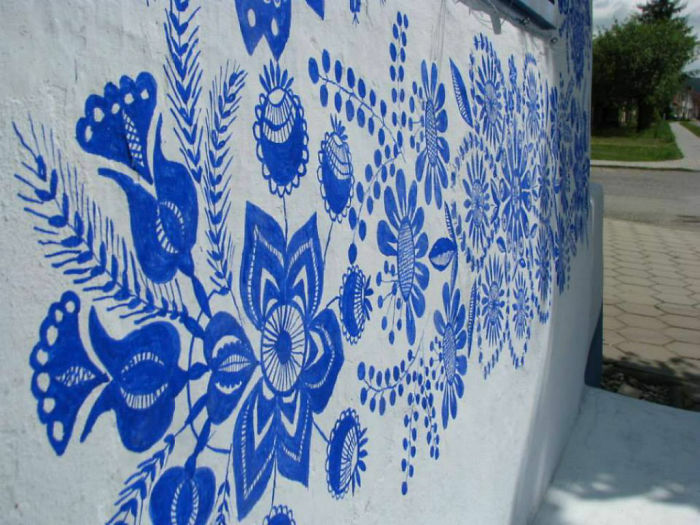 Kasparkova has such a vivid imagination, she never plans out the artwork in advance. 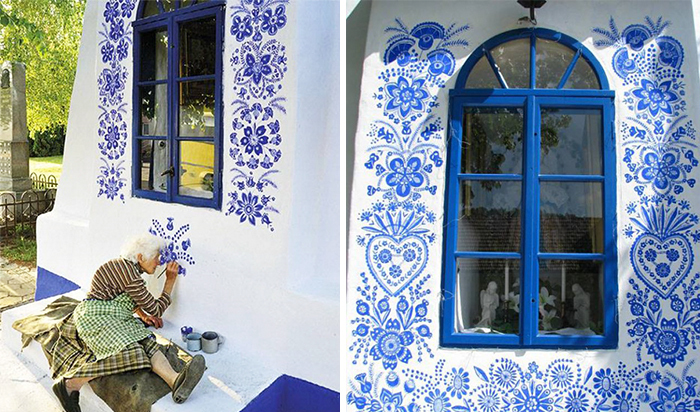 Usually, she just lets the paintbrush take lead and admires the outcome afterward. 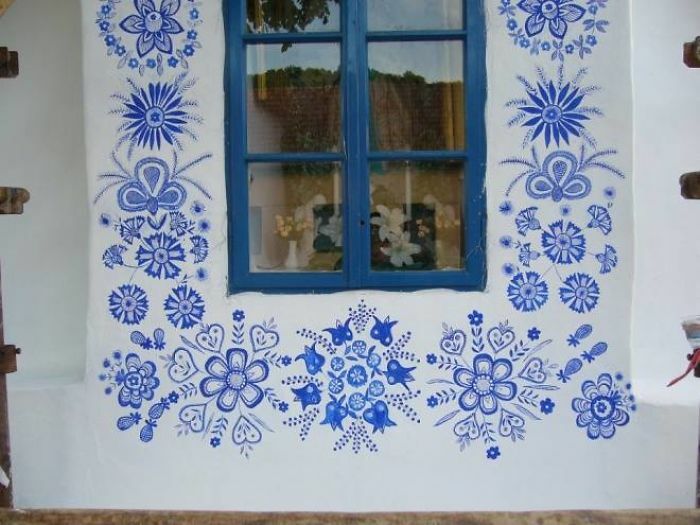 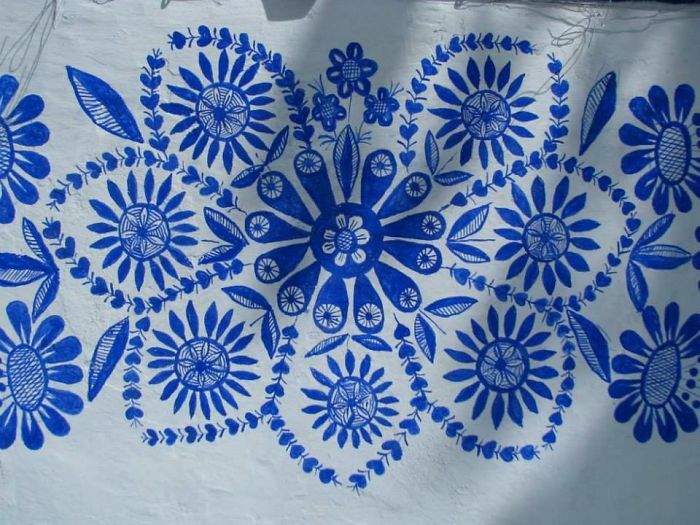 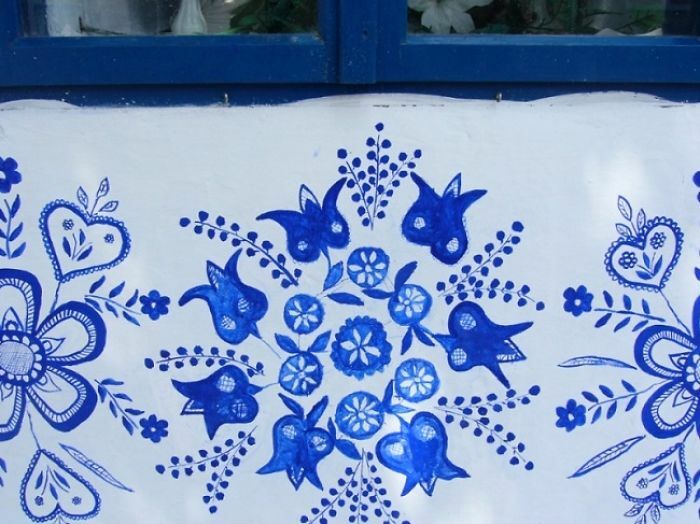 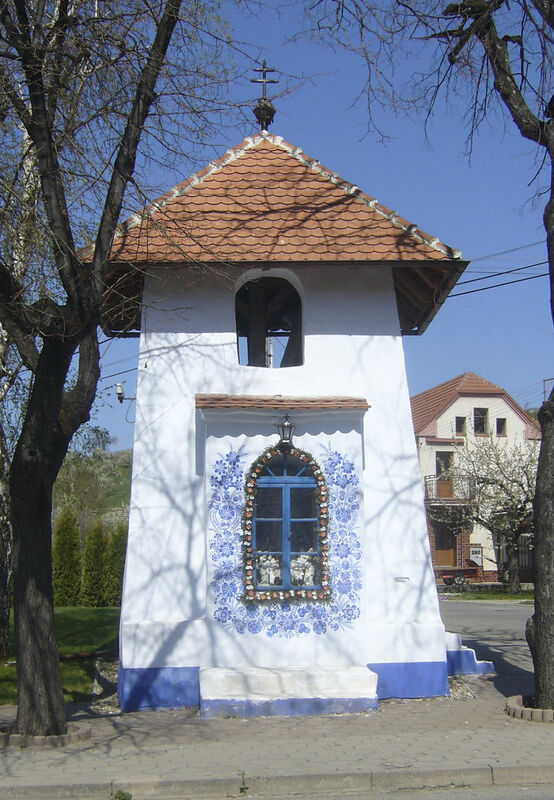 Kasparkova began painting the beautiful murals on the white Moravian houses after the tradition was passed down to her. 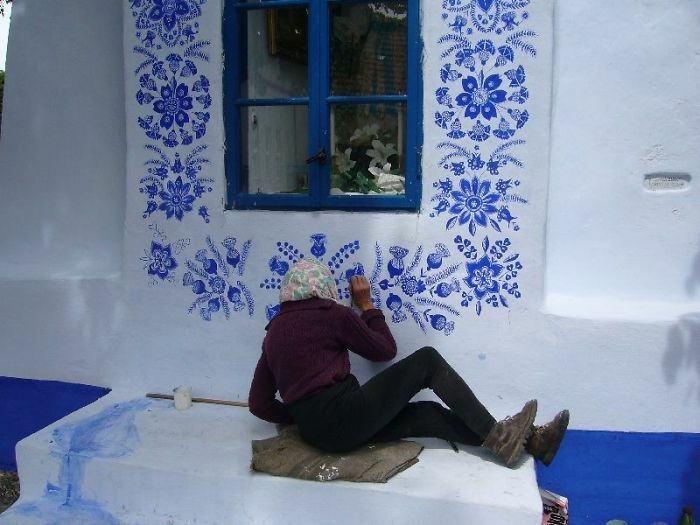 During the winter, she pauses her contribution due to the cold climate. 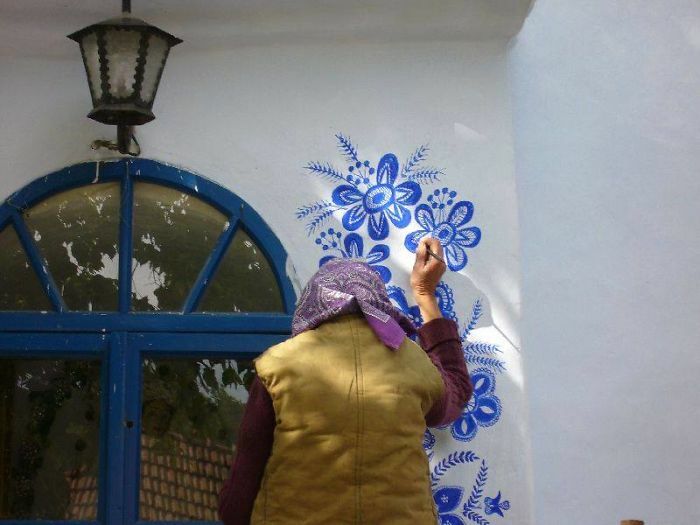 As spring arrives, however, she tosses on a heavy coat and continues transforming the village, one hand-painted flower at a time.